Painting murals is usually thought of as something a talented artist does. Like painting a large work on canvas, a wall or the side of a building. But the truth is you don’t really have to be an artist although if you are you definitely have an advantage over the rest of us sort of talented people. Look at it this way, sign painters aren't necessarily sign painters are they? They are just professional painters. 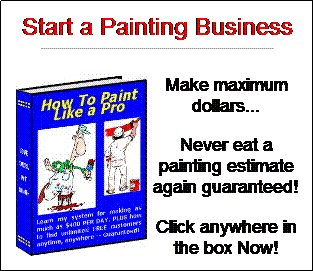 Mural business – if you can paint neatly you can actually do quite well at starting a mural business. The secret is in planning out your work on graph or grid paper first. You know, the 8 1/2 by 11 sheets with small ¼” squares made up of green lines on it. If you have an idea you want to paint on a larger scale like a wall the secret is to lay it out first on your graph paper. Then count each ¼” square as a 1-foot square for the wall. Now you can map it out on the wall and then choose your paint colors and brushes. Just measure out a grid on the wall using 1-foot squares. Hand painted murals – most are hand painted right? So if you want to add extra quality to your work you can use painters tape to get sharp looking curves and straight lines. Paint wall mural – if you are looking to get started in the mural business one good (easy and profitable) way is with Star Murals. They look absolutely fabulous in the dark! You can create outer space scenes full of colors like aqua, green, purple, light blue and even orange and red. Or you can do simple ceiling and wall murals that are accurate and actually twinkle and give the illusion of being under an actual night sky! Best of all, you won't have to use grid lines. Enjoy this article on painting murals? Go here for more handy tips.